The growing obesity epidemic around the world is a serious public health problem, as it significantly increases the risk of chronic diseases such as cardiovascular diseases, type-2 diabetes and certain cancers. At present, around 415 million adults have diabetes with estimates saying by 2040 this number will rise to 642 million. OECD found that adult prevalence of obesity in the US is 36 percent and in the UK 25 percent. The UK is the country with the fastest obesity growth rate in the world, with adult prevalence of obesity having doubled since the 1980’s. The experts are united; the big villain here is our sugar consumption, often hidden in our food. WHO recently updated their guidelines and recommends adults and children to reduce their daily intake of free sugars to less than 10% of their total energy intake. A further reduction to below 5% or roughly 25 grams (6 teaspoons) per day would provide additional health benefits. This is the driver behind the sugar tax, to help incentivize consumers to eat less sugar and at the same time inspire product developers to make food and drinks with less added sugars. The sugar tax is a relatively new proposal and law but already there have been some positive effects on sugar consumption. In Mexico the 10% sugar drink tax reduced sugar consumption by 12% in the first 12 months. Today the revenue from the tax in Mexico has collected 2.5 billion dollars. Similarly, in Hungary the sugar tax led to 40% of manufacturers to reduce or eliminate sugar entirely in their products to avoid the tax. However critics say it doesn’t work as the sugar consumption doesn’t seem to decrease and the taxes create an unfair situation as not all sugary products are included. However, it is probably too early to say. Which countries have a sugar tax? The UK Government has announced that it will be introducing a sugar tax on the soft drinks industry. The media have labelled this levy as a ‘sugar tax’, however it is not a tax on all sugar and will only affect soft drink manufacturers. The new levy, expected to take effect from 2018, will be on the producers and importers of soft drinks that are high in sugar content, not on consumers. The tax aims to encourage them to remove added sugar, promote diet drinks, and reduce portion sizes for high sugar drinks. Soft drink companies will pay a charge for drinks with more than 5% added sugar. Pure fruit juices and drinks with high milk content will not be taxed. In 2016, Spain announced a tax on carbonated beverages. South Africa will implement a 20% fiscal tax on sugar-sweetened beverages, in April 2017. Portugal announced legislation that will tax sugary beverages with effect from April 2017. France have had a tax on sugar beverages since 2012, including both drinks with added sugars and drinks with artificial sweeteners. Mexico introduced a 10% soda tax in 2013, to reverse the serious obesity and diabetes epidemic, and reported reduced sugar consumption by 12% in the first 12 months. 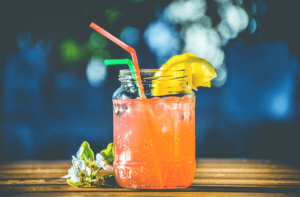 In the US, a number of influential State Governments and some cities, including San Francisco and Philadelphia, have introduced legislation to impose taxes on calorific carbonated soft drinks. Denmark instituted a sugar and fat tax in 2009. To avoid the fat and sugar taxes, local retailers had complained that Danes simply went to Sweden and Germany, where prices were lower. Denmark finally repealed the tax in 2012. Norway has a generalized sugar tax measure on refined sugar products since the 80s and since 2013 also including soft drinks. Due to reports, Norwegians still has a very high consumption of sweets and sodas. Finland introduced a sugar tax in 2013 on sweets and ice cream and soft drinks. Iceland has increased the VAT on sugary products. Sweden is following the development in other countries but is primarily looking in to other solutions than taxes, in order to decrease obesity. Chile increased the tax on sugary beverages in 2014 and reduced the tax for non-sugary beverages. Other countries proposing legislation are: Colombia, Brazil, South Africa, India, Indonesia, Malaysia, Thailand, Philippines, Australia, Saudi Arabia and Egypt. Find more information about WHO’s sugar recommendations. A comprehensive collection of relevant information and reports can be found in the Wikipedia article regarding Sugary Drinks Tax.